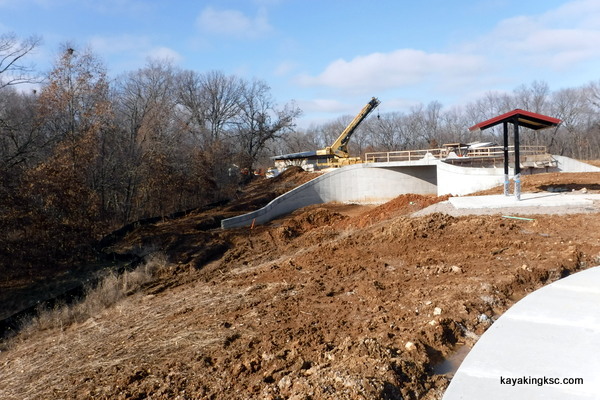 The O'Day Park, eastern Missouri and the bulldozed Native American Artifacts. Don't get me wrong-I love the O'Day park! Green space!-Not the unrelenting developments that blight the entire nation. And I'm not footing the bill for the park, that would be the gullible O'Fallon Tax Payers. 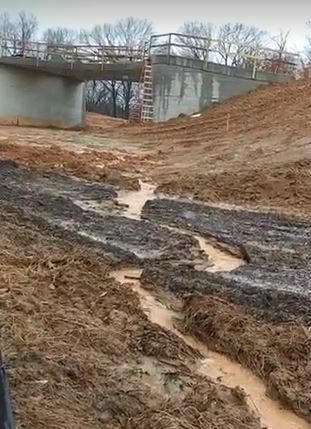 I don't actually believe the ever expanding, ever taxing (and spending) City of O’Fallon or their parks department actually knew about the artifacts under the torn up earth and the construction equipment. Because the land around O' Day Park has lain fallow since the Pipeline fuel spill. So why would they- why would they know? Sort of sad: In Florida, the laws on human remains are so strict that many contractors just cover up any discovered remains as quickly as possible to prevent costly expensive delays. How much information is lost? However at the O'Day Park in St. Charles County Missouri; I truly believe no one knew about the artifacts, bones or the teeth. However my first eighteen years of life were spent in those fertile fields. And I have memorized the location of every flake cluster, arrow point or unique items discovered. We had no internet in those days.... So my brothers and I "observed" what ever caught our eye- be it animal or artifact. Over the winter vacation, during a survey trip for the upcoming MR340 kayak race I did a quick trip up the ridge to see if any artifacts had been exposed by the heavy equipment. I was disappointed how the soil had been shifted around burying any artifacts. Such is life. Growing up on the O'Day Creek, (in the time before the internet) -no matter the season, riding or walking the fields of the O'Day valley was a prime pastime. 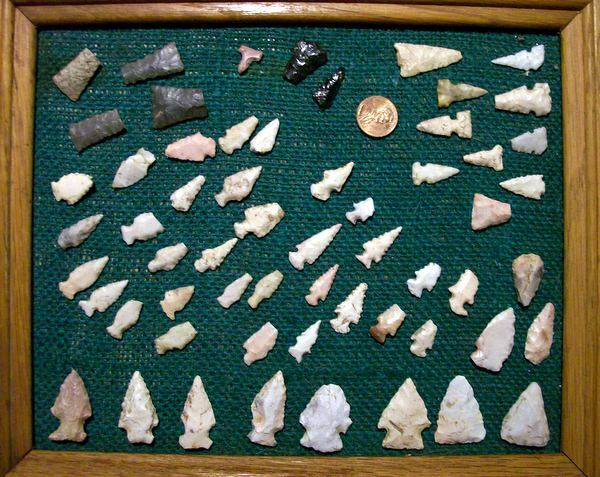 It was not difficult to locate the Native American sites--the brown dirt would glitter with shards of flint after a rain shower & arrowheads would appear in the dirt and in the rocky O'Day Creek. There was even competition with my brother to see who could get up earliest and get to what we called Indian Teeth Ridge. Assumption: I always assumed the Scalorn bird points (rounded serrated arrowheads were related to the Missouri and Osage nations because of cultural affiliation with the southern plains & short grass parries. 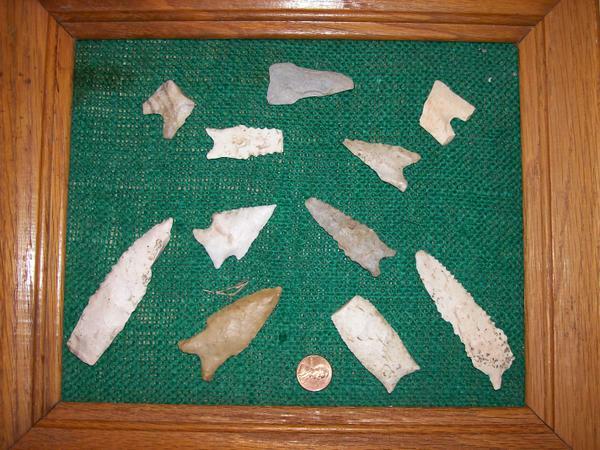 Scalorn points are found as far south as the Caddo Indian nations. While the triangle shaped Mississippian cultural arrow points-including the Cahokia side notched arrow points were more related to Illini peoples who inhabited the River Bottoms. of the Missouri, Illinois and Mississippi River basins. Assumptions however can be wrong. Heck I think I'm wrong most of the time. As a kid I was memorized by Ambrose's stories of Dardenne Creek and the O'Day Branch Creek prior to the Weldon Springs TNT plant. One season in this old mound field, I also found a scrap of leather harness in the plowed earth. The ancient leather was embossed with a brass button and the raised letters "U.S." -my excited over active imagination-assumption was that the button was from the Civil War. Perhaps you have heard of "The War of Northern Aggression" however Ambrose had explained that after World War One, the Army sold it's leather artillery horse harness to all the farmers as military surplus. "Before World War Two, most people could not afford the new motorized tractors and plowed by horse or mule" explained Ambrose. The button was still pretty cool. One of the oddest Native American artifacts I found on O'Day ridge. 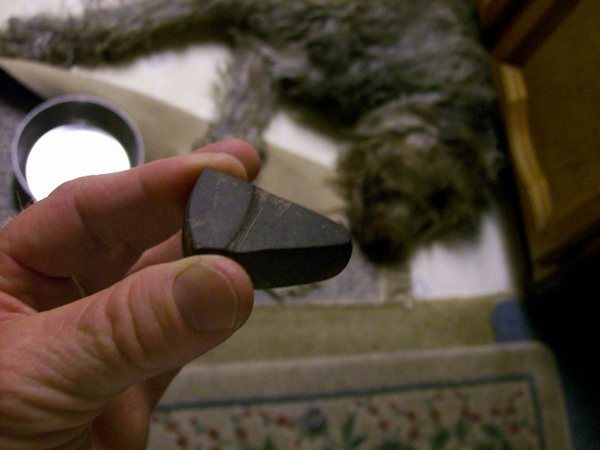 A triangle of smooth hematite. To this day I have no idea what it was used for. Making paint? Indian Teeth Ridge where did that name come from? At one time we called the high field above the O'Day Creek "Arrowhead Hill" - However around 1970-ish the pipeline company replaced the dual pipelines across the O'Day. I recall the pipelines had been exposed to frost and flood and we often used the pipes as a walk bridge over the shallow rocky creek. For some reason the pipelines were replaced up the side of the O'Day ridge and into "Arrowhead Hill"
Parents would have been horrified and perhaps even a belt brought out if they knew we were riding up and down that hill. Back to The name Indian Teeth Ridge. The following spring after the pipeline replacement when the fields were plowed again-old rotten bones appeared in the fresh turned soil. The bones themselves all turned to powder in short order however human teeth turned up in the field year after year until plowing ceased forever around the time of the final pipeline leak. 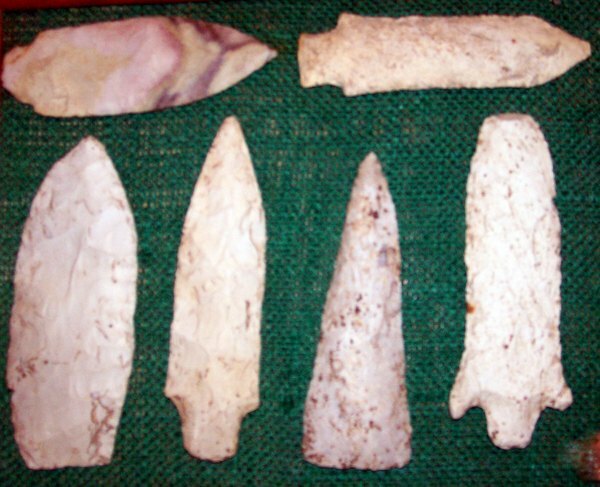 Even though flint chips and arrowheads appeared across the entire field & down the horse back trail and the pot shard field; the human teeth were centered around the pipeline excavation at the peak of the ridge. I often wondered how deep the pipeline equipment had excavated to find bones. To be honest it had been decades since I had thought about the teeth in that fertile field until the quick walk to see the new park and the turned up soil. Of course in Missouri any high location above water has artifact assemblages. And the O'Day is no different than the rest of the state. And a spring helps.....In the O'Day Creek at the base of one of the new park overlooks "there used to be" a all year round spring. 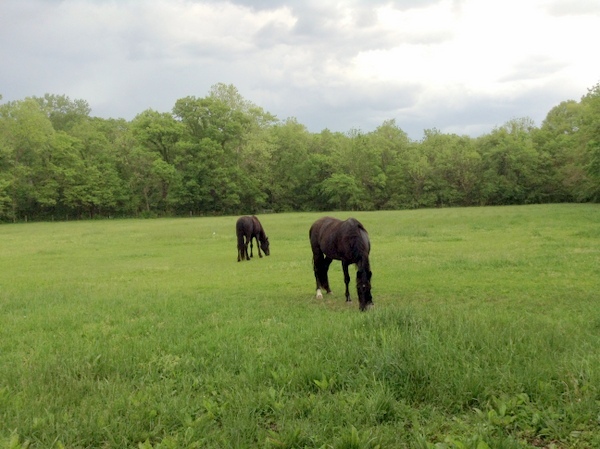 However besides springs and fertile fields, I believe the real draw for both animal and man was the giant persimmon grove that once existed where the Rolling Meadows development now blights the land. It was no coincidence that the Frazier homestead that once stood on the best view of the O'Day Valley had been constructed with the persimmon tree grove as the back yard-ready made food for hogs or wine making if one was so inclined. As mentioned the developer for Rolling Meadow came in and bulldozed the ancient grove that had probably existed in that location since the time when the glaciers retreated. Want to find the remains of the Frazier homestead? Walk to the southern boundary of Rolling Meadows and peer into the forest. 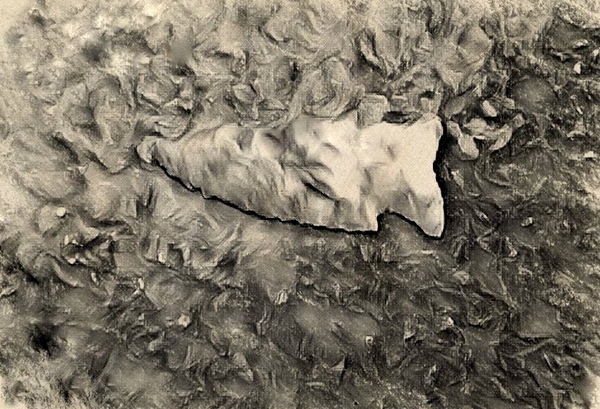 When growing up in the O'Day valley the rocky remains of the homestead were close cropped by cattle and more than one tiny arrow point was discovered on the cattle trails. Growing up in the O'Day Valley was the formative building block of my adult hobbies and interests that followed me to humid Florida. -A fascination with history. And walking the fields of Busch Wildlife Area with Ambrose Schulte as he pointed out his own boyhood memories heightened my disgust at the Federal or State land grab called Eminent Domain. And so when being assigned to Cape Canaveral in the Air Force and then working on NASA's Kennedy Space Center, once again I was immersed in both the history of east Florida and the unjust land theft that created both "The Cape" and Augusta A. Busch Wildlife Area. The results of both areas are spectacular but were they worth the cost? Same could be asked about the new O'Day Park- "I assume." 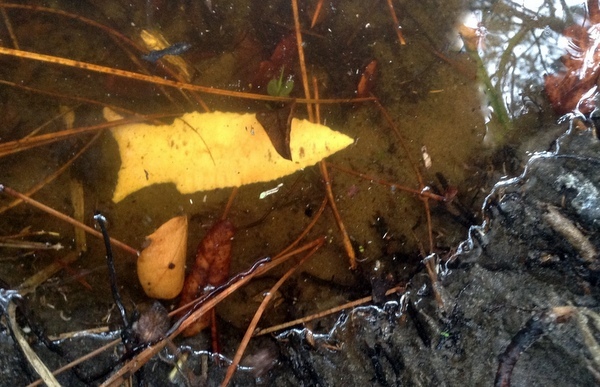 Found in random non-context gravel bars but hinting to a history stretching back to the time of the glaciers. Return Home from O'Day Park Native American artifacts page.